How do you keep tabs on your investments when limits are breached? Many people don't and just rely on someone else to 'look after it for them'; bad move. 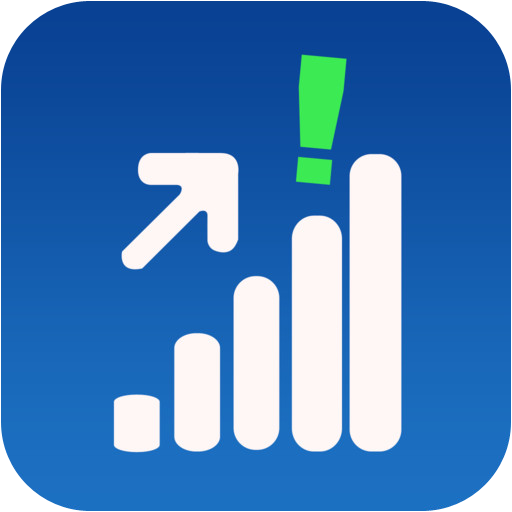 This App allows you to easily set alerts when values outside your range, either upper or lower. Adding a stock is a breeze. Simply tap the stocks icon and then the '+' and enter either the symbol or the company name and let the App find it for you. You can also easily enter multiple stocks by separating the symbols with spaces (a great time saver). Charts (1, 5 days; 1, 3, 6, 12 months). The Settings will allow you to configure how alerts are delivered and, in my view, very importantly, whether an alert is repeated each time any given limit is breached. If you need share/stock information to be timely, and act as a reminder, this is simple and effective. The App only supports shares quoted on NYSE and NASDAQ. The App is designed for the smaller screen of the iPhone but also works well on an iPad in 1x and 2x modes. This App allows you to receive but not share data, so there are no issues. A good tool for the investor. You can get Stock Alerts Pro here and support for the App here.